Anyone in the market for a new 3D printer might be worth giving a new machine more investigation which is suitable for both professional and the complete novice user. What’s the demonstration video below to learn more about the new Ant Union (StrongArm) 3D printer which is taken to Kickstarter this week to raise the funds it requires to go into production and provide an industrial level 3D printer at an affordable price. 3D printing is not just prototype. Today, 3D printing offers advantages in every change an innovative session, from initial concept design to final production. Today’s competitive environment makes selecting the right 3D printing machines are more important than ever. StrongArm 3d printer is a well-designed industrial grade and reliable 3D printer for Hobbyists to Expert. We do not think that there is any risk on this project as everything is ready. The only thing we are concern is the insufficient number of backers to meet the minimum production quantities. But it seems very easy to achieve !!! Please note that StrongArm includes all printed parts required to build the functional printer. There are several additional parts that you can print once you have the printer working. 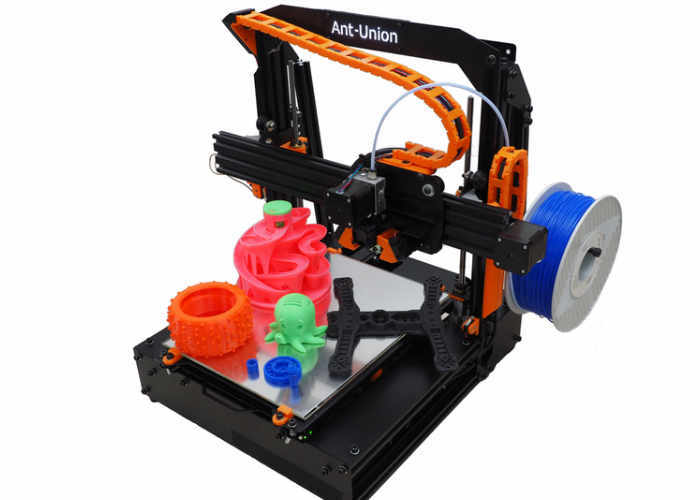 For more information on the new Ant Union (StrongArm) 3D printer jump over to the Kickstarter website for details by following the link below.